Cirrhosis and HCV. Jonathan Israel M.D. 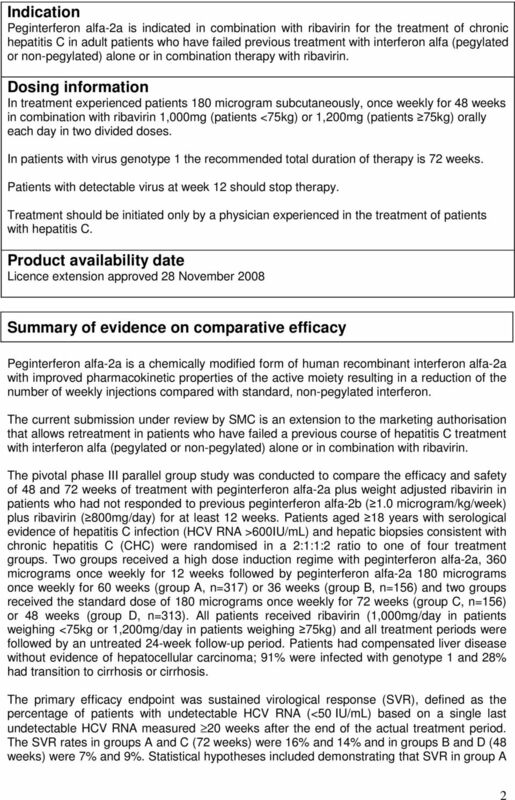 Ombitasvir paritaprevir ritonavir with or without dasabuvir for treating chronic hepatitis C Technology appraisal guidance Published: 25 November 2015 nice.org.uk/guidance/ta365 NICE 2015. All rights reserved. 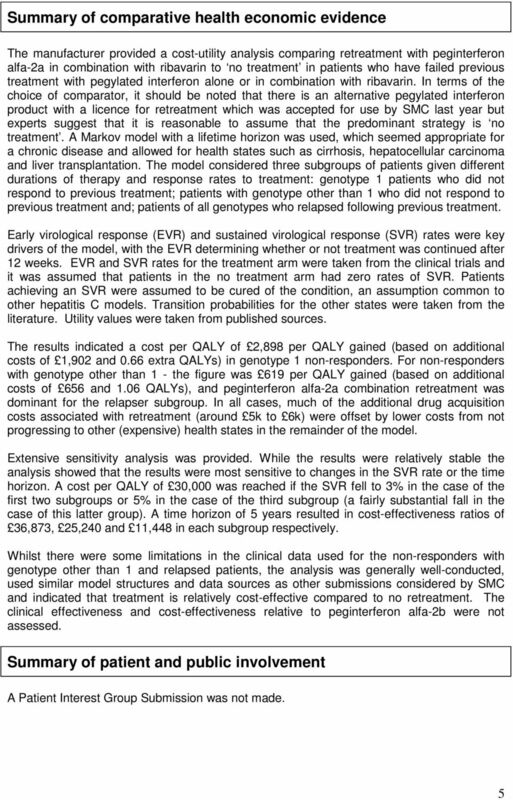 Boceprevir for previously untreated patients with chronic hepatitis C Genotype 1 infection: a US-based cost-effectiveness modeling study. 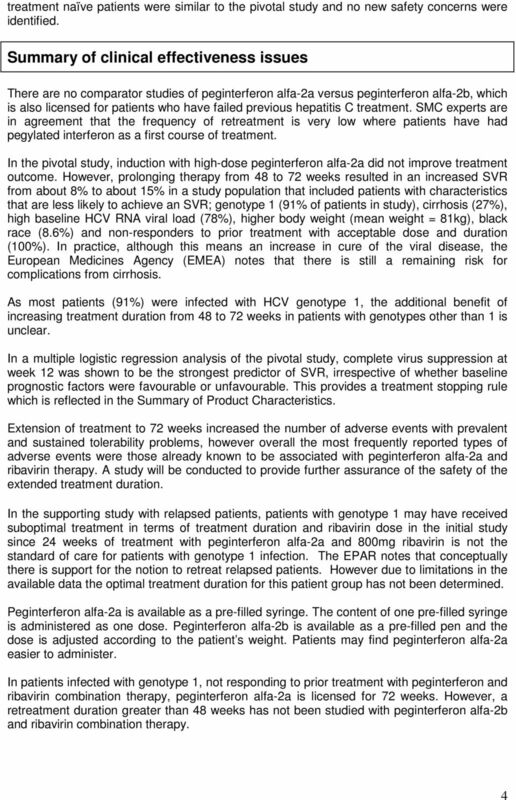 Peg-IFN and ribavirin: what sustained virologic response can be achieved by using HCV genotyping and viral kinetics? 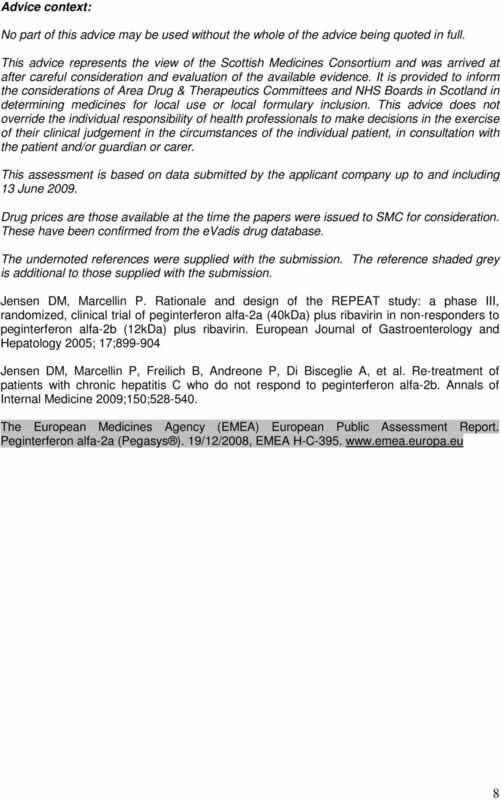 Hepatitis C. David Mutimer Queen Elizabeth Hospital Liver Unit Birmingham. Substance Misuse Treatment in the West Midlands. How can we reduce harm? 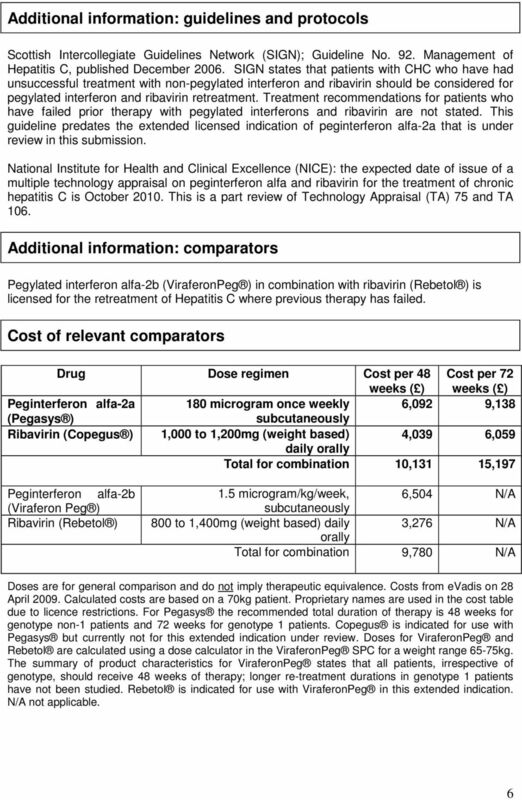 Ribavirin/Pegylated Combination Therapy for People with Hepatitis C 1. Introduction 2. What the treatment does 3. When to take it 4. What is? 5. 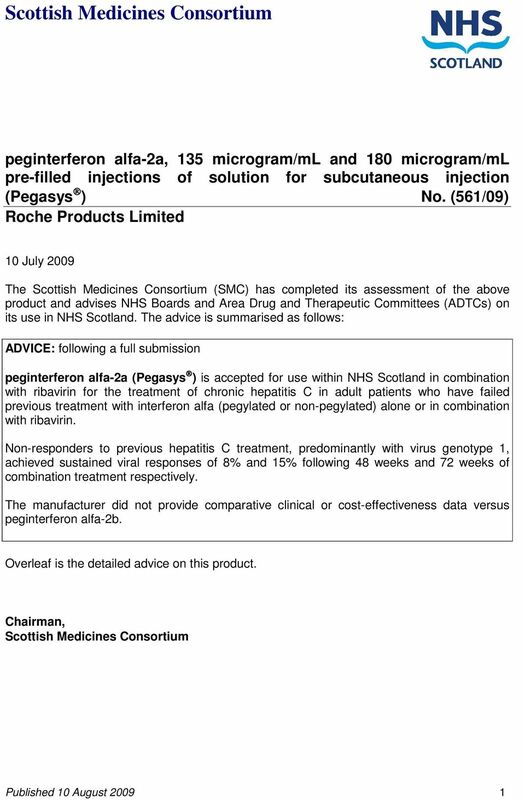 What is interferon? 6. 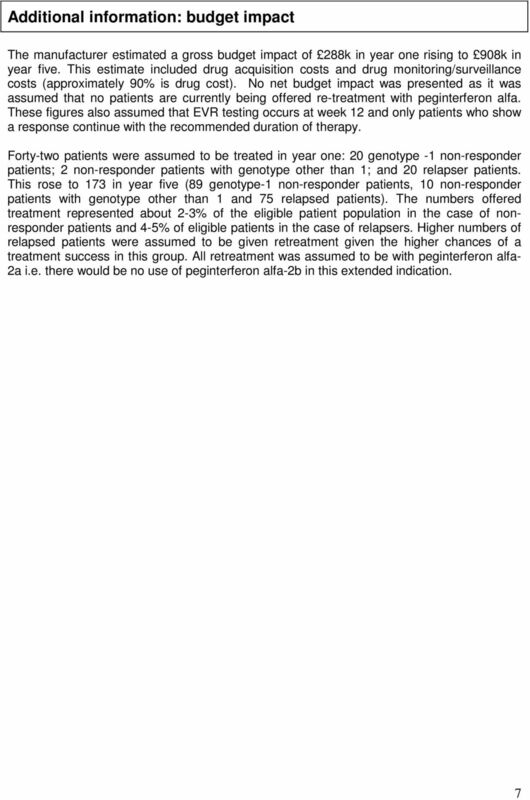 What is pegylated interferon? 7. 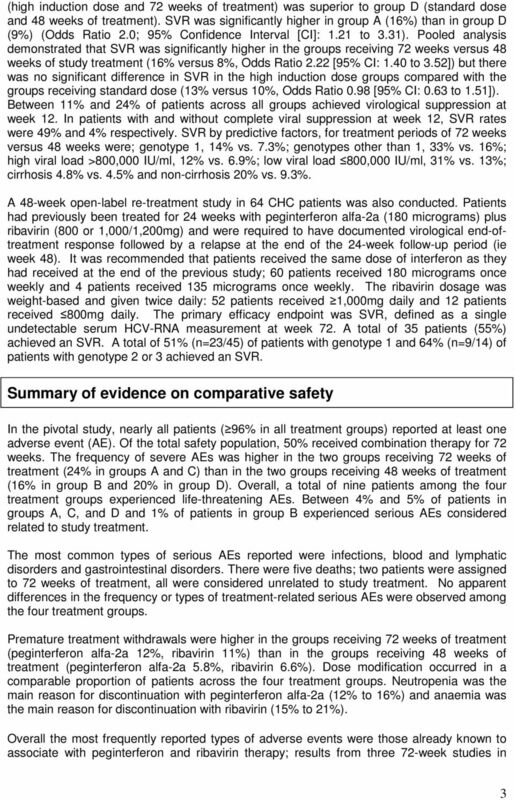 In this study, the DCV+ASV regimen had low rates of discontinuation (5%) due to adverse events, and low rates of serious adverse events (5. Guideline on clinical evaluation of medicinal products for the treatment of chronic hepatitis C.
PURPOSE: To define the criteria to be used to determine the medical necessity of antiviral therapy in the treatment of Chronic Hepatitis B.